"BTS opens next Wednesday (24 February) at Olympia for the 22nd time and, quite frankly, I can’t wait. It’s a unique touch point for travel buyers and suppliers from all over Europe to meet, network, learn and do business – it’s an intense two days, but also a lot of fun. Last year, the support we received from the industry overwhelmed us all. Visitor numbers rose 16% to 7,424 and exhibitor numbers were up 10%. 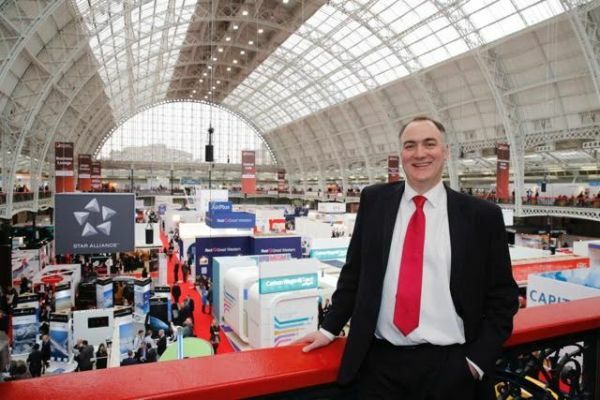 We didn’t think it could get better, but I’m thrilled to say it has: 264 suppliers will be at the show – a further increase of 5% year on year – visitor and hosted buyer registrations are also up and the show itself will be 27% bigger. Why? Because we work really, really hard to make sure the content is right – from the variety and quality of the suppliers on the floor, to the sessions and speakers in the conference. This year, 52 airlines will be at the show: Lufthansa, easyJet, Star Alliance, Emirates, Qantas, Qatar and Virgin Atlantic to name a few. First time exhibitors include massive carriers American Airlines and Etihad Airways, and niche suppliers Jet Airways and La Compagnie. JetHunter is also a new face. The innovative start-up launched to help buyers find affordable seats on private jets, it’s one of eight disruptive enterprises featured in the new Launchpad, which has been introduced to throw a spotlight on young companies with pioneering business travel products and services. We hope these companies will disrupt buyers’ traditional thinking and help them to understand how they could be buying, managing or arranging business travel in the future. We are launching the Business Travel Show Award for Disruption and Innovation, the inaugural winner of which will be crowned following a Dragons’ Den style presentation from our finalists at 11:30 on Thursday 25 February. Our conference programme this year features 50 sessions including ‘NDC is coming – what does it mean for the travel manager?’, which will be an interesting debate as 78% of buyers who took part in our most recent survey said they are still undecided whether or not they support NDC. Just 9% felt committed enough to vote in favour. Over half – 55% – said they thought Lufthansa had not done an effective job of working with travel buyers to help them through the transition to NDC. Panels, presentations and master classes will also look at the other top trends on the agenda for buyers this year: data, risk management, the sharing economy and, of course, cost and cost cutting. Of the 182 buyers taking part in the Business Travel Show survey 28% had smaller airline budgets in 2015 and 75% will have the same or less this year. 85% already use low-cost carriers, or are planning to use them even more this year, and 43% will be buying fewer business class seats. All of this supports the opinion that cutting costs, managing budgets and buying smarter are still very much key concerns for travel managers. Online registration is still open for buyers to attend the show for free, and advance planning means you won’t get caught in a queue when you arrive."